Orem, Utah-based Squire & Company (FY17 net revenue of $18.8 million) announces that three professionals have been admitted to the partnership: Amanda Barrett-Brough, Matt Geddes and Kevin Johnson. Barrett-Brough joined Squire in 2005. She works primarily in assurance services, specifically in real estate, manufacturing, insurance, HUD-approved programs, and technology and life science. 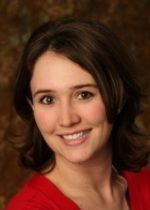 She is a 2016 AICPA Leadership Academy graduate – an academy that selects only 50 people in the country to attend annually. She leads Squire’s Women Improving Professionally group. She is working with the AICPA Women’s Initiatives Executive Committee (WIEC) to help them create women initiative resources for CPA firms. 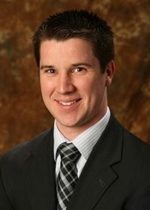 Geddes is a member of the assurance services team. He oversees audits of for-profit entities, local governments and employee benefit plans. He volunteered as a lead adopter to the AICPA’s Single Audit and Employee Benefit Plan Audit Certificates and was among the first in the nation to be awarded these certificates, which demonstrate his technical expertise in performing single audits in accordance with Uniform Guidance and performing audits of Employee Benefit Plans. He joined Squire in 2008. Johnson joined Squire in the advisory group in 2004. He is an expert in Microsoft Dynamics GP, Microsoft Dynamics 365, Microsoft SQL Server and Excel. Since joining Squire, he has helped countless companies through ERP implementations, training and custom integrations. He leads the technology and life sciences group at Squire. Squire & Company also announced changes in practice area leadership. 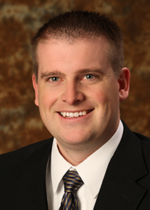 K. Tim Larsen has been serving as a temporary practice area leader to the advisory department over the last year. He will be relieved by Reuben Cook. Wayne Barben will be stepping into the position of wealth management practice area leader, relieving Tim Christensen. Both Larsen and Christensen remain at Squire on the partner board.